With over 40 pieces in the collection, clever juxtapositions balance femininity and androgyny to create an aesthetic that will appeal to the fashion conscious bride. Key styles include the minimalist ankle length t-shirt dress in washed satin and the ankle length dress with pleat detail skirt and geometric lace over shimmer fabric. For the bride who prefers more masculine styling, the lace jumpsuit with crepe silk lining is the perfect antidote. The collection continues to expand it's wide range of versatile additions, which work perfectly as co-ords or layered to transform a look through day and night. 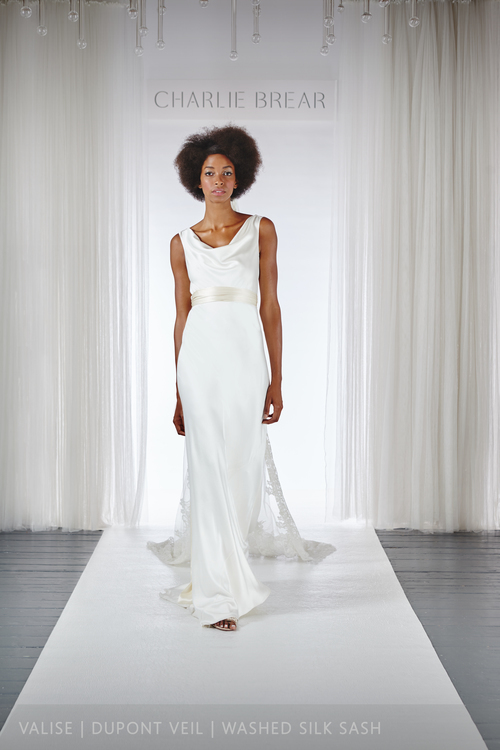 Starting with a simple crepe, satin or chiffon dress and layering everything from sequined overdresses and tired skirts, allows brides to build and customise a bespoke look that's in keeping with their personal style.